Kalymnos is a Greek island in the southeastern Aegean Sea. 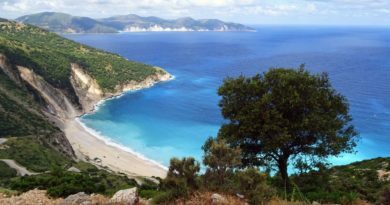 It belongs to the Dodecanese and is located to the west of the peninsula of Bodrum (the ancient Halicarnassos), between the islands of Kos (south and Leros (north); the latter is linked to it through a series of islets. In 2001 the island had a population of 16,235, making it the third most populous island of the Dodecanese, after Kos and Rhodes. It is known in Greece for the affluence of much of its population, and also stands both the wealthiest member of the Dodecanese and one of the wealthiest Greek islands overall. 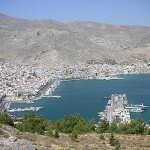 The Municipality of Kalymnos includes the populated offshore islands of Pserimos, Telendos, Kalólimnos, and Pláti, as well as several uninhabited islets, has a total population of 16,441 inhabitants. The island is roughly rectangular in shape, with a length of 21 km and a width of 13 km, and covers an area of 109 km². Moreover, on the north side there is a peninsula which stretches in a Northwest direction. 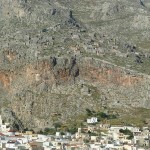 Kalymnos is mainly mountainous, with a complicated pattern. There are three main chains going from W-NW to E-SE, and a fourth one which innervates the peninsula. The coastline is very irregular, with many sheltered coves. There are some springs, one among them being thermal. The soil is mainly made of limestone, but in the valleys there is a compact bank of volcanic tuff, relic of an ancient volcano, located near the village of Kantouni. 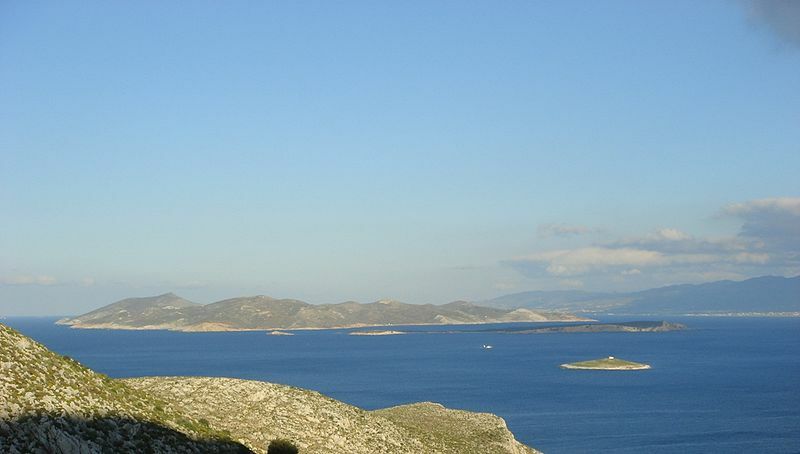 The island is mainly barren, except the two fertile valleys of Vathi and Pothia, where olives, oranges and vineyards grow. 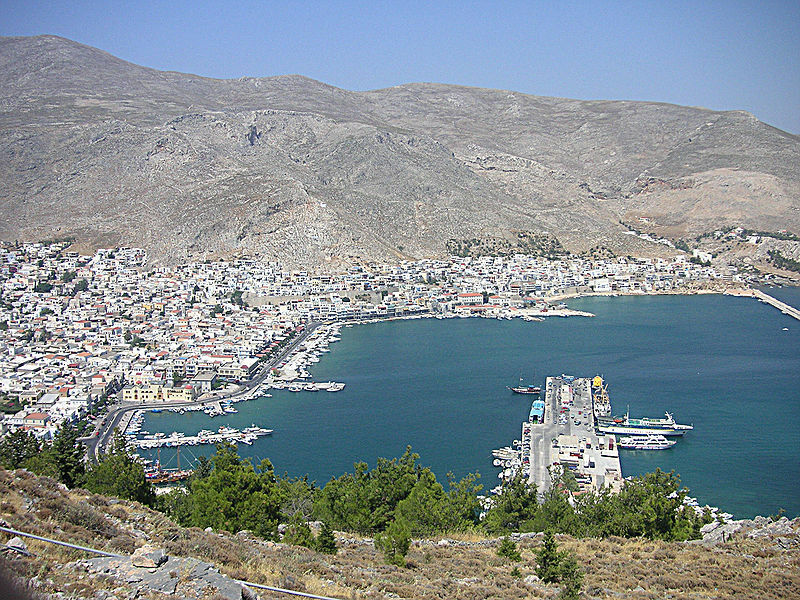 Earthquakes are a frequent occurrence around Kalymnos. 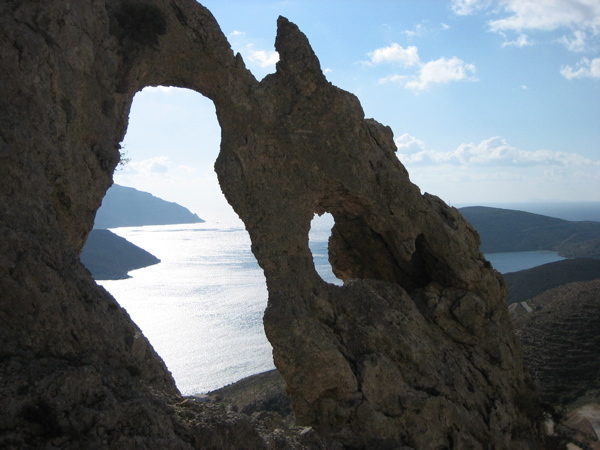 The Sponge of Kalymnos: The usage of sponge was first mentioned in the works of Aristotle and Homer. 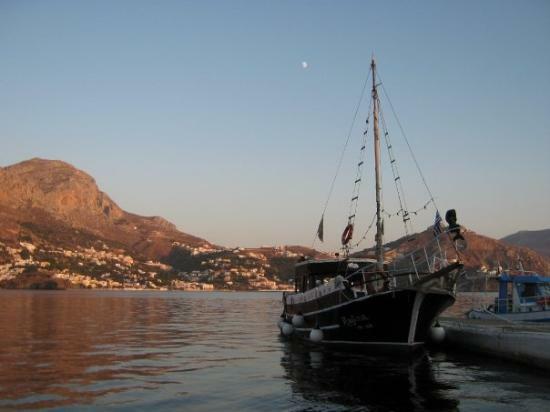 Since the ancient times, the life and culture of Kalymnos Island was linked to this marine animal; this is the reason Kalymnos is also known as the “Sponge-divers’ island”. 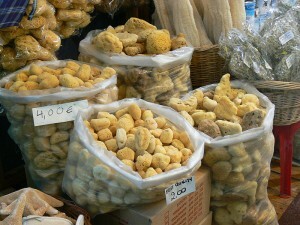 Sponge diving has always been a common occupation on Kalymnos and sponges have been the main source of income of the Kalymnians bringing wealth on the island and making it famous in the Mediterranean. Sponge diving with all its traditions and history still forms the very soul of the people of this island. There is a celebration called Sponge Week taking place on the island each year one week after Easter to honour the relationship between the people of Kalymnos and the sponge, which is also known as the Kalymnian “Gold”. As usual in these occasions, the people sing, dance, and eat traditional dishes. 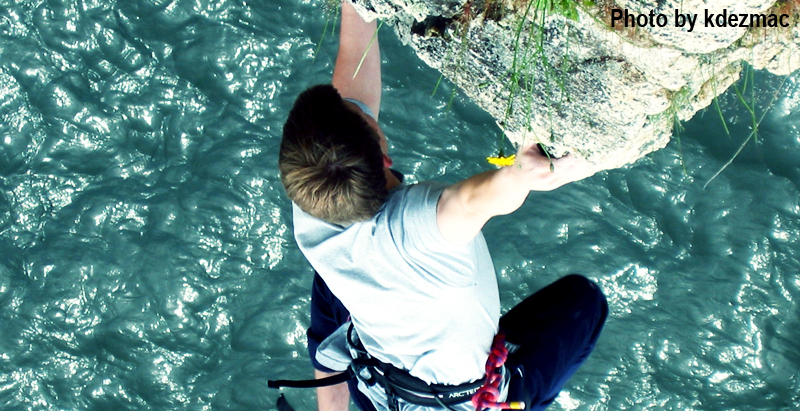 In recent times, tourism has become important for the island, particularly for rock climbing. The island also acquired an airport, the Kalymnos Island National Airport near Pothia in 2006 to better link the island with the mainland. Pserimos is a small Greek island in the Dodecanese chain, lying between Kalymnos and Kos in front of the coast of Turkey. It is part of the municipality of Kálymnos, and reported a population of 130 inhabitants at the 2001 census. The main industry is tourism, with Greek and other European holidaymakers attracted by its remote location. There are several beaches and a number of taverns, some of which offer accommodation. 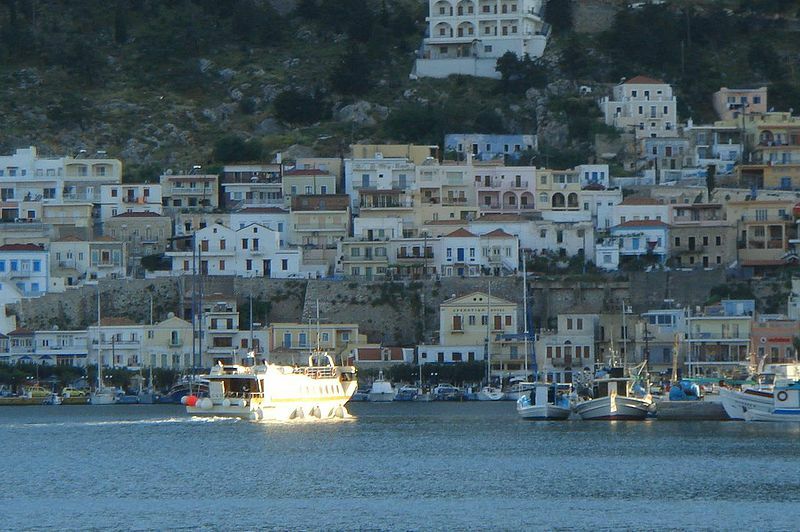 Pserimos is served by a daily ferry from Pothia, on the island of Kalymnos, and is a destination on the itinerary of a number of cruise boats in the area. 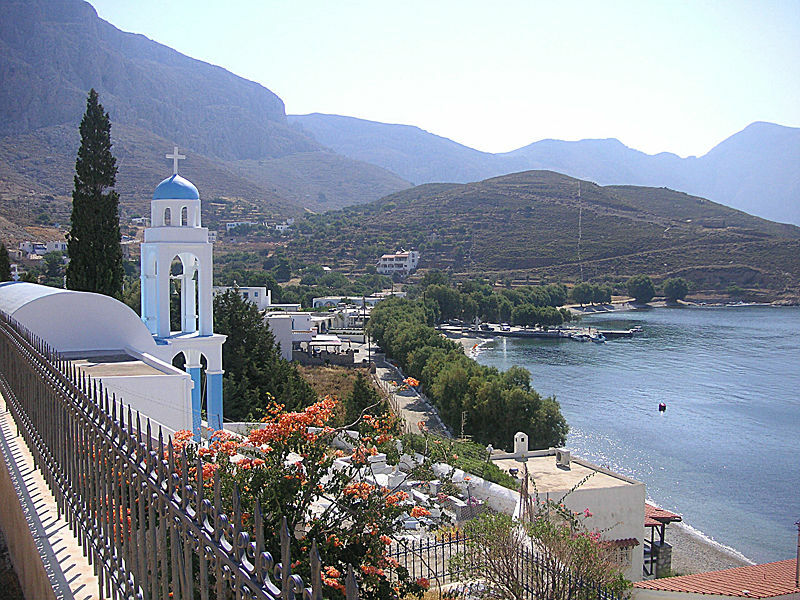 Telendos is a tiny island, at a very short distance from Kalymnos. 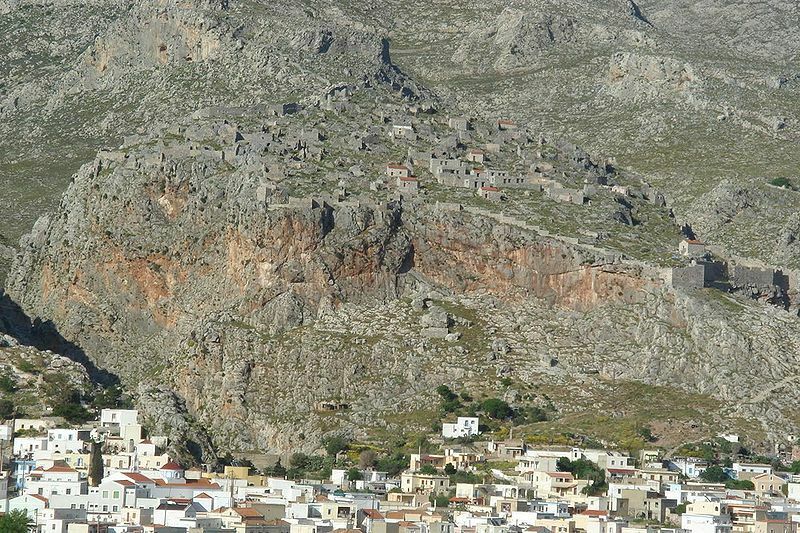 Up to 535AD it was part of Kalymnos, but an earthquake separated the two. It is a lovely island without cars, blessed with tranquility. You can reach the island taking the short boat trip from Myrties on Kalymnos, the trip costs 2 euros and within minutes you have crossed to Telendos. Sometimes the little boat is full, especially when the overseas flights arrive in Kos island and all the visitors travel en-mass when the ferry arrives from Mastichari. On certain days of the year celebrations take place on the tiny island; on these days you’ll find hundreds of Kalymnians heading for the ferry bridge in Myrties. This is chaos in the unique Greek style, where however mysterious this may seem to you, the job always gets done, mostly with a smile or a little laugh. Telendos offers several choices of accommodation, all basic, but also comfortable within short distance to good beaches. 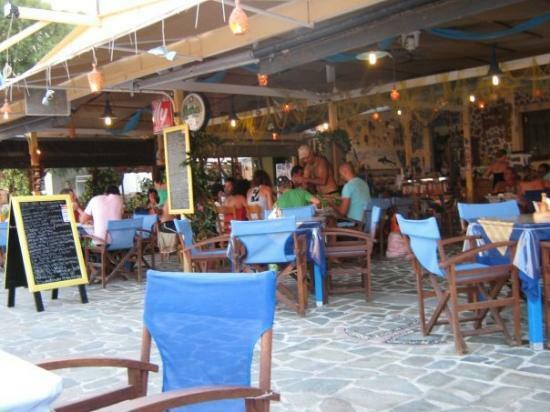 The island has its own fair share of outstanding tavernas and restaurants, but what really gives you the strongest impression is the extremely welcoming attitude from the locals. If you stay for a while you soon will have many ‘new friends’ to share some pleasant time with. The island is visited by rock climbers from March to the end of May and September to late November. 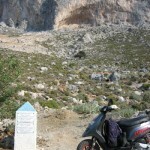 There are 3 good climbing areas on Telendos, Eros, St. Constine and North Face. The beaches on Kalymnos are spectacular. There are many of them and they promise to cover all preferences and desires. They all have the deep blue crystal clear waters. Many of them combine natural beauty and amenities that provide you with all the necessities for you to enjoy your favourite water sports. Kalymnos is famous for its great and most spectacular rock climbing routes but it also has the most crystal clear waters, perfect for diving in rocky underwater surroundings. Of course, in this kind of rocky environment hiking is an obvious choice as well, offering you the most breathtaking views. 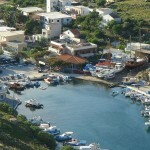 The area of Panormos, known for its natural beauty, has also great beaches surrounding it. 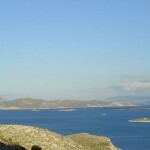 With only a small distance inbetween, you will find the beaches of Platis Gialos, Kantouni and Linaria. You will take pleasure in swimming in the cool waters, while enjoying the Greek sun. 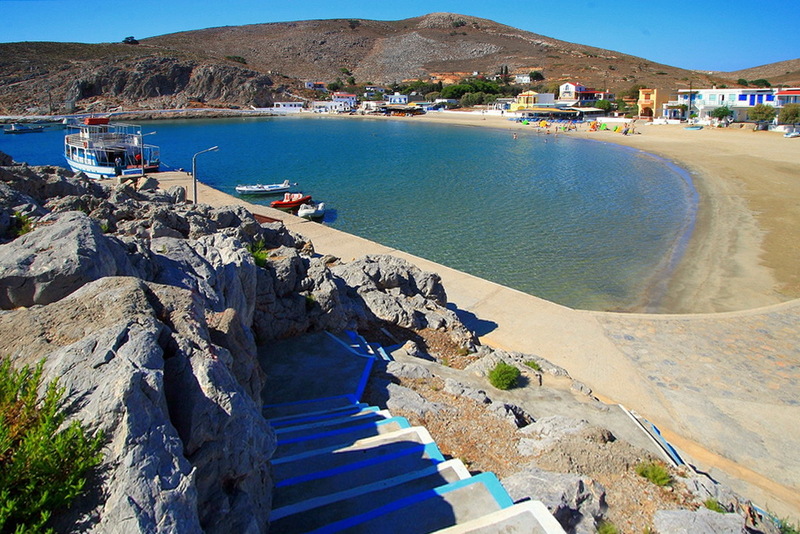 The beach at Masouri is organized by the local municipality. Here you’ll find umbrellas and sun beds. At Myrties the pebbles along the complete length of this beach are what make it unique. It is one of the most beautiful beaches on Kalymnos. In Emporio, you will discover many remote and beautiful beaches. If you are looking for a location with crystal clear waters combined with complete serenity, then this is the place to go. 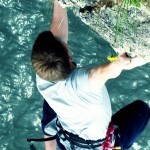 Rock Climbing: Since 2000, Kalymnos has become one of the premiere world destinations for rock climbing. The season spans year round though the most popular months tend to be the spring and fall when the heat is less intense and there are fewer visitors. At last count, there were almost one thousand sport routes on the superb limestone crags. The routes are almost entirely bolted (sport climbing) with fixed anchors, most featuring lower-offs. A 60m rope will suffice but more and more routes that are being put up (including many of the well-worn classics) require a 70m rope. You’ll also want to have no less than 16 quickdraws. 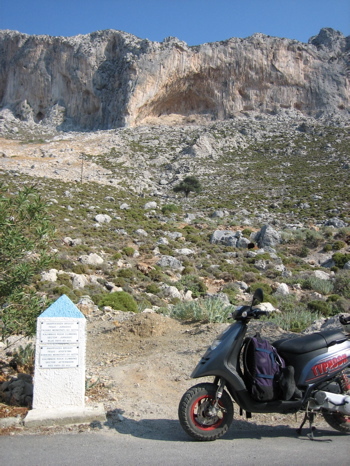 If you are in Kalymnos to climb, your first trip should be to the Outdoor Athletic Association (called such because they coordinate and track the climbing on the island). The association runs a small office north of Myrtes (near the Poets wall) and is open daily during the mornings. Here you’ll be able to get the latest route information and a free print-out of the routes — a listing of the grades with directions on how to get to each crag, from there you’ll find the routes as they are painted at the base of each route. Monastery of Saint Sava, Pothia: An attractive monastery perched high on the hill above Pothia. The church has typically beautiful decoration, and the view is very good. 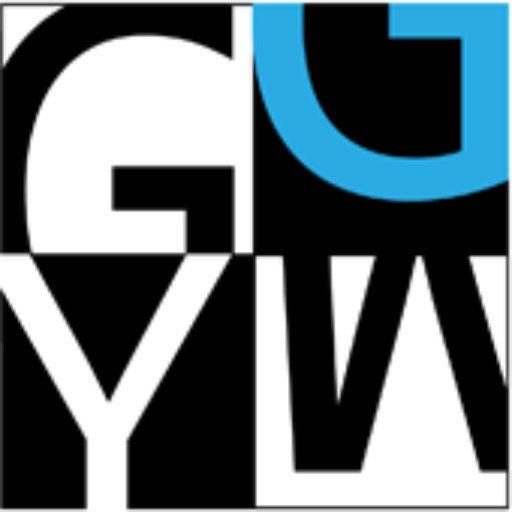 Open 10AM to 2PM, 5PM to 7PM. Either take a bus from Pothia towards Vilhadia; take a taxi; or take the short but hilly walk from Pothia. Marine Founding’s Museum: This is a private museum, a work of the Valsamidi brothers born and living on Kalymnos. With their love of the sea and a willingness to share the joys and wealth with the world, they built this museum with a great deal of effort and zeal. They worked as architects, builders, collectors, decorators without ever stopping their favourite activity, diving. The result is impressive. The findings come from thousands of dives in the seas around the world. There is a large variety of fish, cochlea, shellfish, starfish, corals, shark, chelonoeidi and, of course, all kind of sponges. Part of the museum is devoted to the profession of sponge diving and includes all the tools and diving suits used by divers from 1872 until today. In a specially designed area you’ll have the opportunity to see amphores from the 6th, 4th, 3rd and 2nd centuries BC. There is also a collection of 2000 photographs related to the history and tradition of fishermen. 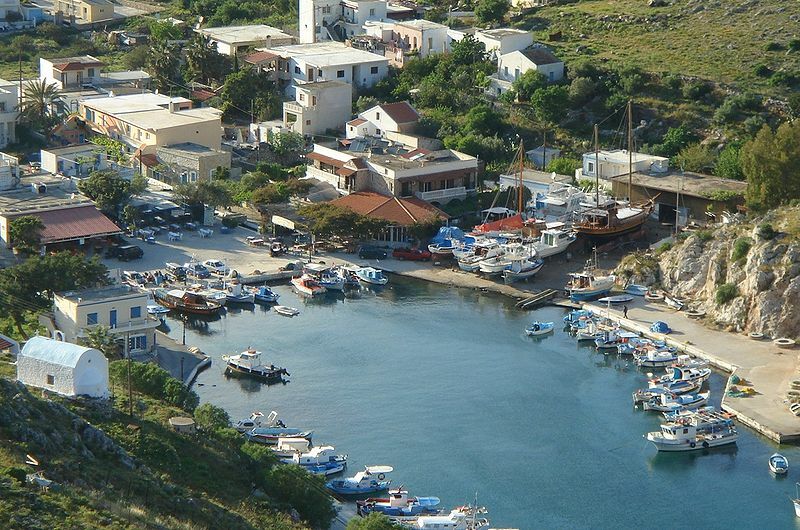 The Archaeological Museum of Kalymnos is to be found in the district of Agia Triada in Pothia. It discloses the historical and cultural progress of the island from the prehistoric to the Post-Byzantine times through the presentation of a large number of bronze and marble sculptures, pottery, figurines, tools, coins, devotional objects, and weapons. Open from Tuesday until Sunday 08:30 – 15:00. Closed on Mondays. 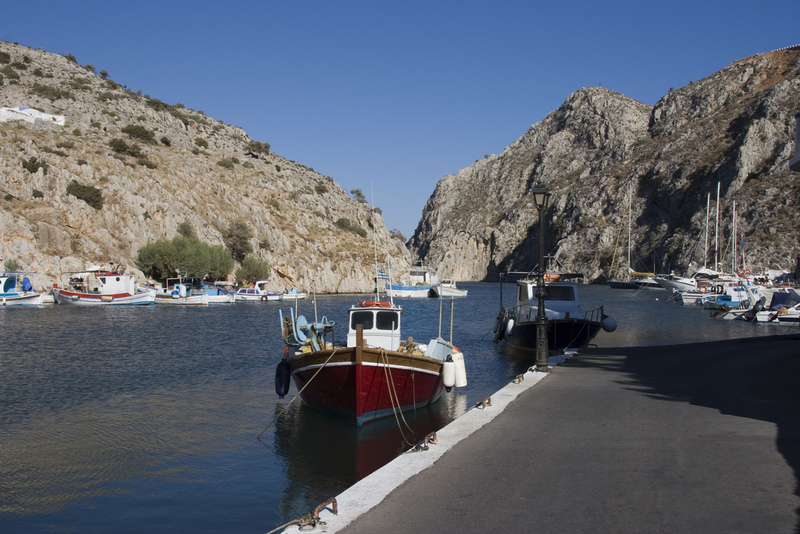 At the Naval Museum of Kalymnos, founded in 1994, we can learn about the naval tradition of the island, history and methods of sponge diving and view many objects from ancient ship wrecks. In four rooms of the museum there are many objects dealing with the profession of sponge diving.